When’s the last time you accidentally flung your girlfriend across a bunch of ice and into a wall? The last time for me was three days ago. She’s ok. Laughs were had (mostly by me). And the best part? I got to do it at a discount? Discounts for college students are everywhere (even ice skating rinks), and you probably run across at least 43 every seven weeks. It’s great to be a college student. Sure, we have to pay exorbitant amounts of money for a piece of paper that may or may not actually prove useful in our future careers… but we get cheaper tickets to football games, right? Right. Those discounts are everywhere. However, that’s not what I want to talk about today. Discounts are lame. Saving money on things? Weak. I’m a last-semester senior, man. It’s my last lap. I want stuff for free. That’s why I’ve compiled a small list of things I’ve recently found that are free for students. As in free beer, freedom, Gordan Freeman – whatever. You don’t have to pay for this stuff, and that’s awesome. I order so much stuff from Amazon that they probably have plans to build a warehouse next to my apartment to save time. I’m sure it’s just a matter of time until Jeff Bezos himself shows up at my door to say thanks and give me a free Virgin Galactic ticket or something. I know JB’s got my back. For the first and third reasons, Prime is indispensable to me. I don’t watch much TV, but I do love being able to “borrow” books for free once a month on my Kindle (aka my precious). I also love being able to order things and get them quickly. It works out well when I’m too lazy to buy textbooks until the last minute (not usually a good idea, but this is the internet. I don’t have to practice what I preach all the time). Honestly, the shipping thing is the best part. Luckily, that’s the part you can get free as a student. Amazon Student is a free program that gives you the free two-day shipping benefit of Amazon Prime for 6 months. Just sign up with your school email address and you’re good to go! Note: If you don’t want to pay $40 to keep Prime after your 6 months is up, set your account to not automatically renew. It’s easy, but it’s also easy to forget. When I signed up for my first semester of classes at Iowa State, I was dismayed to learn that the school offers almost nothing in the way of web development education. That’s really not surprising, as a lot of school don’t – but it was still disappointing to little 18-year-old aspiring-web-developer me. Luckily, my school makes up for its lack of web development and software classes by giving every student a free premium subscription to Lynda.com. Like I said, my school (Iowa State) offers premium subscriptions – the kind that includes example files for each course – to every student, free of charge. This isn’t a super uncommon thing for big schools to do, so check if your school offers the same thing. If it doesn’t, then go and ask them to. As an ambitious student, you could convince your major’s department to give you a “scholarship” to Lynda, or open it up to your whole major, or whatever. The possibilities are there, friend. In the case that you absolutely can’t get your school to pay for it, Lynda might still be worth it. Like I said, I paid for it in high school. The $250/year price tag seems high, but if you use it enough, it’ll end up being cheaper than your textbook bill. 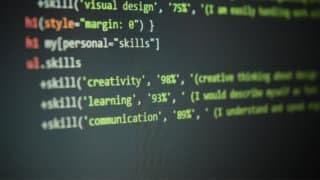 If you’re keen on learning web programming, the Adobe products, how to make iPhone apps, or whatever, it might be worth a look. Of course, almost all of this stuff can be learned for free on the internet; however, I like having videos to guide me sometimes. You can also check out Treehouse – it’s another great source of online video courses. As a web developer with a few clients myself, I often get emails with updates that said clients want done to their sites. I also do lots of updates to this blog’s code. However, I’m not always home – and even when I am, I sometimes don’t want to bother with editing files locally and then uploading them. Sometimes I just want to make a quick change and be done with it. ShiftEdit lets me do that. Its an online code editor with built-in FTP capability, so I can log in, access my files, and make my edits easily. I absolutely love it. …or is it? Turns out that ShiftEdit has its own student edition, which lets you link 5 websites to your account for free. So, if you’ve got a bunch of websites you’re managing outside of class, this is a deal to jump on. 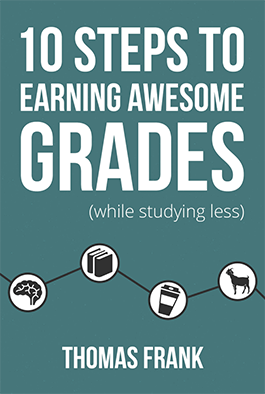 Seriously, there are way more than just three free things out there for college students. I actually list a bunch more in my article 27 College Tips I Learned Sophomore Year – they’re down in tip #14. Want one? You can get one right here. Once they’re gone, they’re gone (until I get another batch, whenever that is).